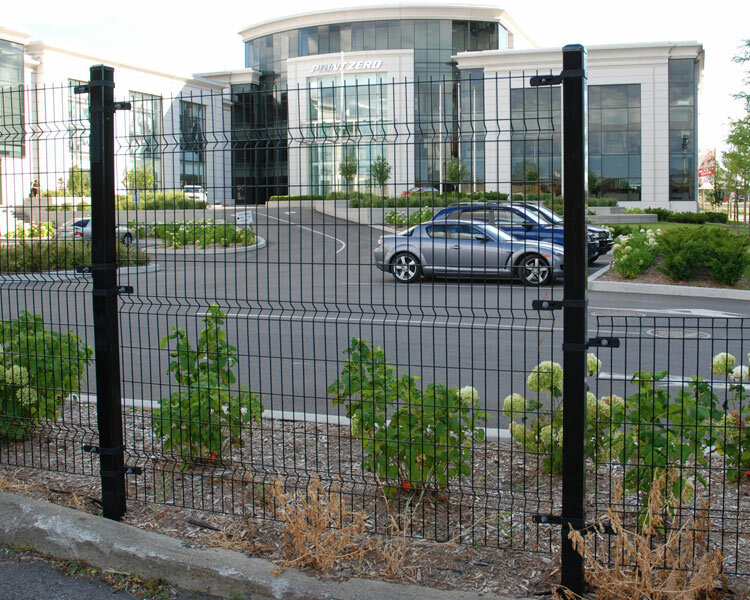 John Rocco Sales represents Omega II Fence Systems, providing highly secure, aesthetic fencing solutions for industrial, commercial, residential and custom designs. 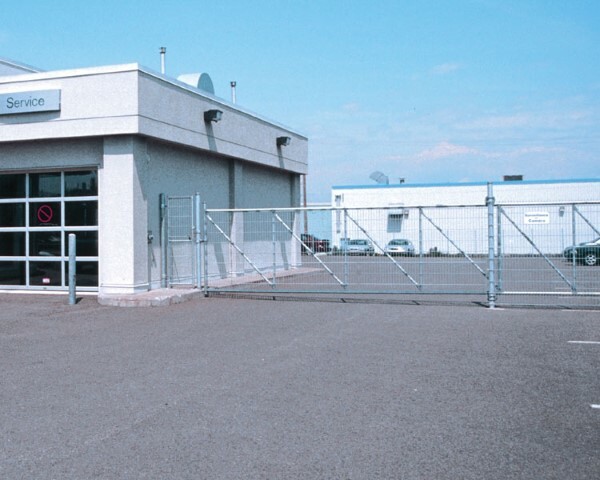 Omega II is the “original” North American manufacturer of welded wire fencing, offering outstanding fence systems at a competitive price. Architectural adds beauty and ambiance with a uniquely modern fence design that enhances the appearance and security of every property it surrounds. 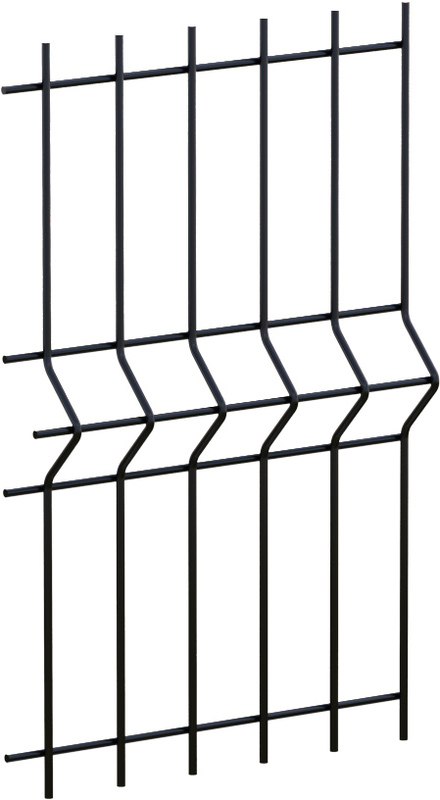 The ECO consists of an assembly of two welded wire panels that protects plants and foliage. The innovative bracket system allows easy access for plant maintenance. 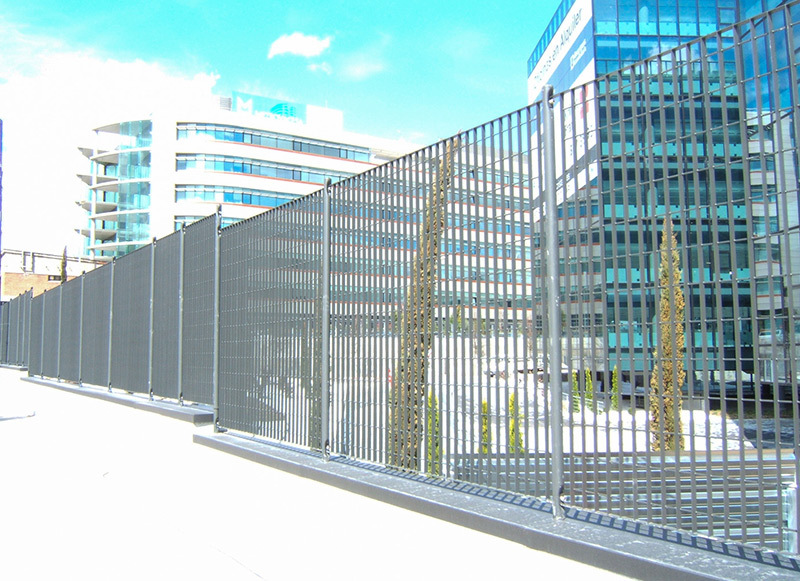 Security at its maximum.The Omega MAX is a proactive solution for projects that need anti-climb, vandal resistant and high security fencing. 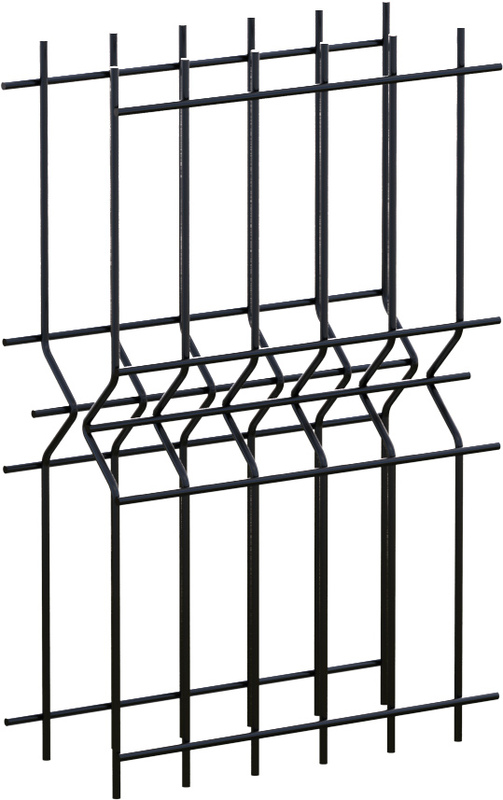 Designed for areas with heavy public usage and to satisfy a greater need for protection. 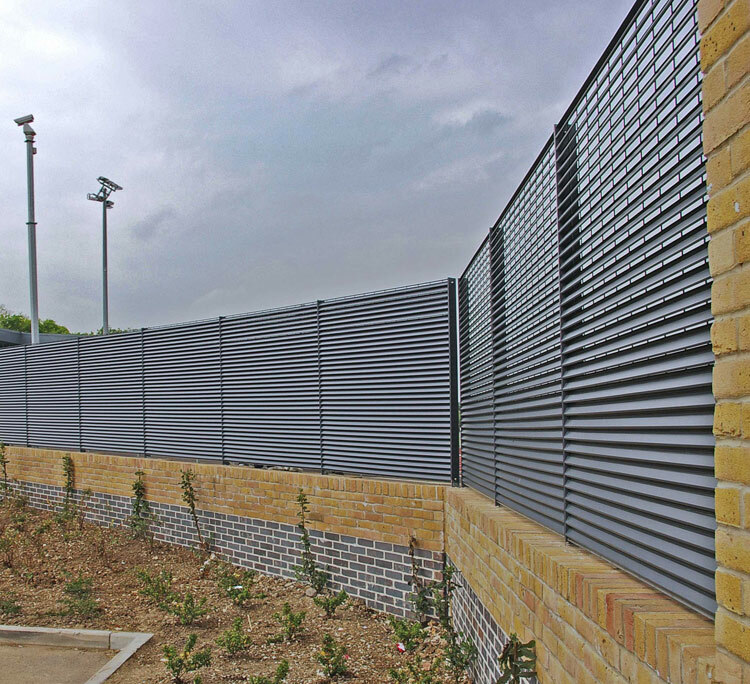 The rigid and contemporary ELITE fence system provides a truly creative and durable alternative to current fence systems, without the bulkiness. Addressing the many drawbacks associated with chain link fencing, our distinctive and modern EVOLUTION system is constructed of strong, rigid panels that eliminates unraveling and deters climbing. We understand the need to be protected without the feeling of being imprisoned. By combining features such as non-obstructive see-through panels and our strongest welded wire, SECUR is made to resist the onslaught of even the most motivated trespassers. OMEGA10 is widely used for its rectangular design. This pattern offers the architect extensive design versatility. Made with a combination of flat vertical bars and round horizontal bars. 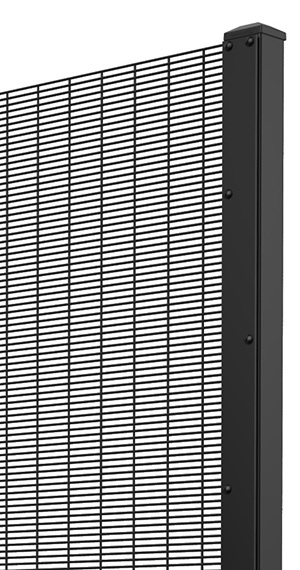 The square mesh pattern of the OMEGA20 is the ideal solution for industrial and commercial applications by visually enhancing the appearance of strength, rigidity and security. Made with flat vertical bars and round horizontal bars. 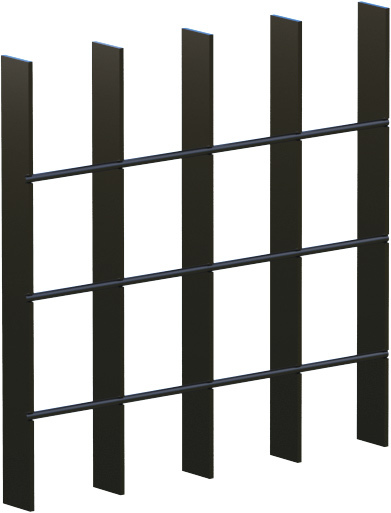 Louvered fencing system is made up of flat horizontal elements and round vertical bars. OMEGA80 screens what is behind the fencing with 80% visual concealment and 45% free airflow. OMEGA100 provides 100% concealment and 35% free-air flow by combining louvered bars and permanently welded round cross bars hidden behind the panel. Standard and custom gate options available. Single and double swing, as well as single and double cantilever styles. Flexible options for gate hardware including panic bars, latches, spring hinges, and child-proof/height controlled access & tamper proof components. Compatible with third party motorized and remote control systems. Custom and modular component options, including panels cut to accommodate onsite slopes/specific height requirements, curved structures, overhangs, gate signs, and custom plate welding. Hardware mounting options for panel, wall, floor, ceiling, or existing post installation. Post options include in-ground and flush mount installations. For additional details about Omega II, please click here to visit their website.